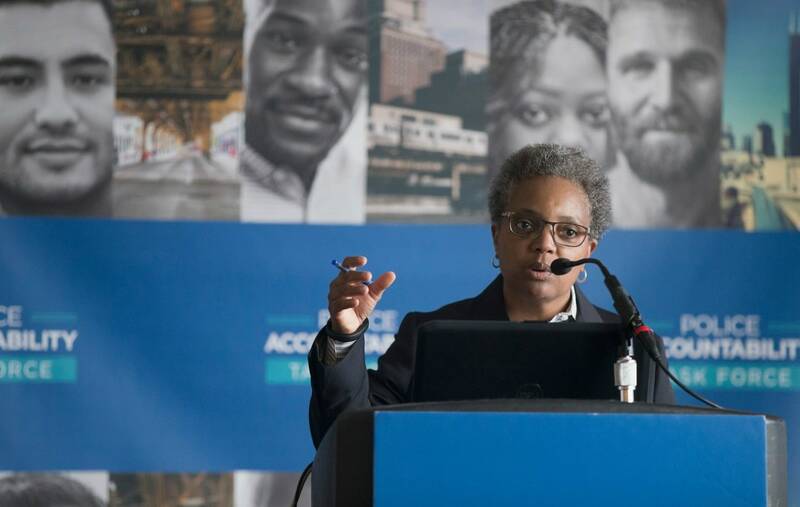 Lori Lightfoot, the openly lesbian politician, denounced the attack. Homophobic fliers targeting Chicago mayoral candidate Lori Lightfoot were distributed on cars around the South Side over the weekend. The openly lesbian politician denounced the attack, saying “hate has no place in Chicago,” at a City Hall news conference Monday morning. The homophobic flier comes a week after many slammed her opponent, Toni Preckwinkle, of using Lightfoot’s sexual orientation to sway anti-LGBTQ influencers and voters. But the Cook County Board President has also condemned the flyers. Former mayor of Houston, Annise Parker — who is openly gay — released a statement condemning the flyers. She is now president and CEO of the national LGBTQ Victory Fund, which is backing Lightfoot. It’s unclear how many fliers were distributed.